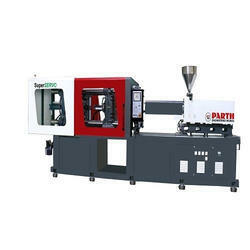 Prominent & Leading Manufacturer from Ahmedabad, we offer 130 ton horizontal injection molding machine, 180 ton horizontal injection molding machine, 50 ton horizontal injection molding machine, high speed injection horizontal plastic injection molding machine, microprocessor controlled horizontal plastic injection molding machine and 220 ton horizontal injection molding machine. 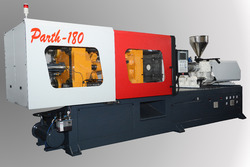 We are offering 130 Ton Horizontal Injection Molding Machine to our clients. The offered molding machine is designed using optimum quality components and advanced technology in sync with industry standards. 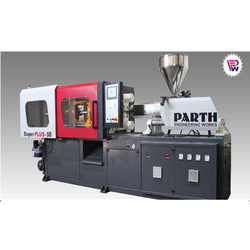 Our valuable clients can avail this molding machine from us at pocket-friendly prices. 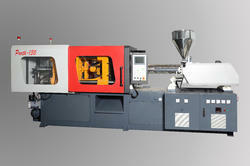 We are offering Toggle type Horizontal Injection Molding Machine 180 Ton with VDP and SERVO system. We are offering 50 Ton Horizontal Injection Molding Machine to our clients. The provided moulding machinery is manufactured with the help of premium quality components and modern technology under the vigilance of adept professionals. We are offering High Speed Injection Horizontal Plastic Injection Molding Machine to our clients. We are offering Microprocessor Controlled Horizontal Plastic Injection Molding Machine to our clients. We are offering toggle type 220 Ton Horizontal Injection Molding Machine with VDP and Servo system. We are offering Plastic Spoon Horizontal Injection Molding Machine to our clients. 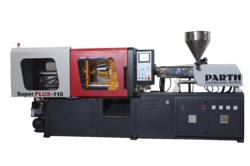 We are offering 110 Ton Hydraulic Horizontal Injection Molding Machine to our clients. The offered moulding machine is manufactured using superior quality component and the latest technology in sync with industry norms. Our provided moulding machine is examined on different quality measures so as to ensure its flawlessness. Moreover, this moulding machine is available in various designs, shapes, and sizes.